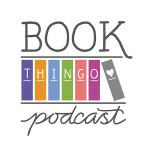 In General fiction, Reviews, Romantic elements, Teen fiction. 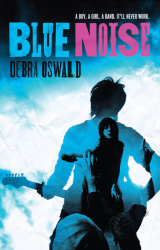 Despite its straightforward storytelling style—or maybe because of it—there’s something rather charming about Debra Oswald’s latest young adult novel about a group of high school students who form a blues band. Blue Noise is the fledgling blues band formed by a group of reluctant year 10 students who find themselves a little bewildered by the whirlwind who is Charlie, a new boy in the neighbourhood. When Ash meets Charlie, he’s talked into an impromptu jam session, right there in the middle of the music shop. For 16-year old Ash, whose family provides him no sense of optimism for the future, Charlie’s enthusiasm is infectious, even though he doesn’t think the band will last—they never do. Shy classical pianist Erin tends to overthink things, and by the time her words are ready to say no to Charlie’s request that she join the band, it’s too late—she’s in. And then she can’t quite figure out how to back out. People passing in the corridor were blatantly staring at Charlie. Erin could understand why. There was his old bleached hair—like a crumbling carpet on his head—plus the hyperactive way he was flitting around, hands flying, raving at Erin. So it wasn’t surprising that people considered him a weirdo. Charlie didn’t seem seem to give a blue fart what anyone thought. Erin admired that: the not-caring-what-people-think thing. She wished she could be a bit more like that. But maybe without having to be quite as strange as Charlie Novak. The band acts as a catalyst for Ash and Erin, giving them the confidence to start exploring who they are as people, and to look at their future with a new perspective. As he spends time with Charlie’s unconventional yet loving family, Ash begins to recognise some hard truths about the older brother he’s always looked up to. Erin discovers new talents and dreams as she’s pushed out of her comfort zone. Oh, and Erin notices Ash, who notices her, but neither notice that the other notices … you get the idea. Blue Noise is easy to read, and the protagonists are likeable and easy to relate to. Oswald’s style doesn’t offer any surprises, and I found some parts awkward and infodumpish, but it does have its own charm. There’s a sweet honesty in the idea of teenagers who aren’t rebels, but who display courage in their own, non-earth-shattering ways. Also interesting is the way Oswald delves into both Ash’s and Erin’s points of view. There’s something here for both male and female readers, including an opportunity to discover that perhaps teenage boys and girls have similar anxieties about themselves and how they’re perceived by others. I’m not the target audience for this book, but I can see its appeal. Blue Noise isn’t the most sophisticated young adult novel I’ve read, but it has an accessible style and uplifting message that may well suit young teens or older reluctant readers. A review copy of this book was generously provided by Random House Australia. 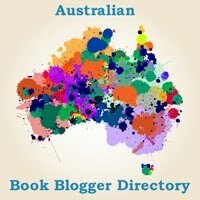 Tagged 2009 releases, australian authors, australian characters, debra oswald. I am 14 and i had to read this book for english. I loved it, and, I suggest it to anybody around my age….. and i dont read often. Thanks, Josh. Just curious…have you read Slice by Steven Herrick? I finished it a few days ago, and it’s another book that I’d recommend for teen readers who aren’t so into reading. You can read the first few pages on the author’s website. I’ve already read this book for my English assessment and tell you what, it was so interesting.